Is your home experiencing water pressure problems? The problem may be bigger than you expect. There are many factors that affect water pressure from water pipe leaks to drain clogs and much more which can be hard to pinpoint without proper experience and knowledge of the operations of home plumbing systems. We are the plumber you can rely on to take care of your water pressure problems promptly. Our plumbers have the expertise to evaluate plumbing problems and pinpoint the location of the issue, making sure you get the proper plumbing repair service so that you don’t end up with the same problem later on due to improper work. Whatever your plumbing issues are, from water pressure drops and bursts to leaky faucets and clogged drains, you can rely on us to be the plumber that knows how to fix your plumbing system. Call us today to learn more about our plumbing repair services and to get your water pressure problems under control! 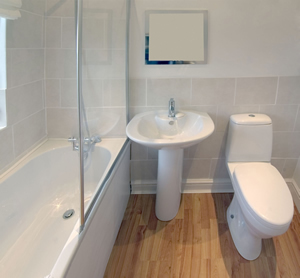 We are known as the clean and on time plumber dedicated to providing top quality plumbing service. See for yourself – give us a call and schedule service today!